The MBA program at the University of Massachusetts Lowell admits new students for both the fall and spring terms and requires applicants to submit the following materials: an official transcript of undergraduate grades; an official GMAT score report; three letters of recommendation from "employment-related sources" demonstrating a minimum of two ye...The MBA program at the University of Massachusetts Lowell admits new students for both the fall and spring terms and requires applicants to submit the following materials: an official transcript of undergraduate grades; an official GMAT score report; three letters of recommendation from "employment-related sources" demonstrating a minimum of two years of relevant work experience; a current resume; and a one-page essay describing academic and career objectives. Applicants must complete prerequisite courses in microeconomics and statistics prior to entering the program. According to the school's website, "An aptitude for management decision-making and demonstrated academic ability are the most important qualifications for admission." International students whose first language is not English must submit an official score report for the TOEFL. The UML Career Services Office provides counseling and placement services to all undergraduates, graduates, and alumni of the university. The office organizes a variety of job fairs throughout the school year. It also provides mock interviews, counsels stu­dents on resume writing and job-search skills, schedules corporate information sessions on campus, and offers access to online job search engines such as MonsterTRAK. The office coordinates the efforts of the University Career Advisory Network, which is essen­tially an online community of alumni and current students. Employers who most fre­quently hire UMass Lowell MBAs include: Bank of America, TD Bank, Fidelity, Putnam Investments, Raytheon, Pfizer, Procter & Gamble, EMC, Cisco, US Air Force and U.S. Government. Lydon Library plus one additional on-campus library; 388,712 volumes, 611,799 microfomrs, 3,425 current periodicals. CD players available. Access provided to online bibliographic retrieval services. 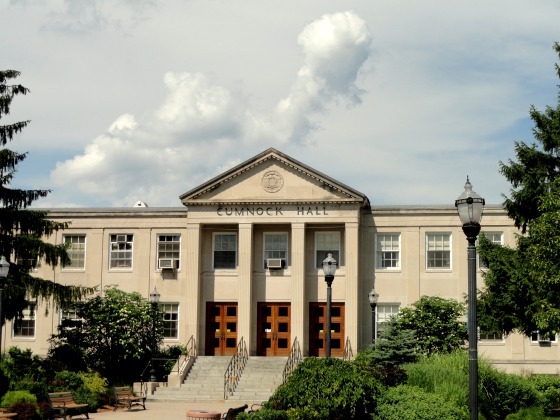 Want more info about University of Massachusetts - Lowell Manning School of Business Full Time MBA? Get free advice from education experts and Noodle community members.